Dr. Rajan Sharma started his journey of medical schooling in 1993 & did his MBBS from Medical College, Amritsar and then joined J.N. Medical College, Belgaum to do his Masters in General Surgery. He joined the prestigious Muljibhai Patel Urological Hospital (MPUH), Nadiad, Gujarat in 2006 to pursue the training in Urology under the eminent teachers of Urology & internationally recognized personalities in Urology like Dr. Mahesh R. Desai, Dr. S D Bapat, Dr. Shyam Joshi, Dr. R. B. Sabnis & Dr. Rupin shah. 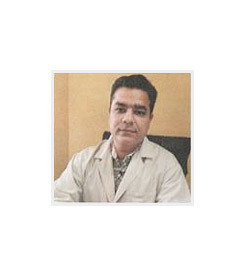 After completing his Urology training, he joined as a consultant in Urology in MPUH Nadiad for 1.5 years. He started his practice in the tricity in the year 2011. He has a keen interest in Laparoscopic Uro-oncology surgeries like Laparoscopic Radical Nephrectomy, Lap. Radical Prostatectomy & Lap. Radical cystectomy and in Female Urology, apart from being proficient in minimally invasive surgeries for kidney stones. He has many publications to his credit in the national & International Journals of Urology & has performed more than 4000 surgeries.